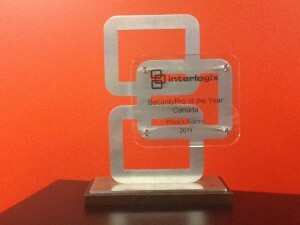 On June 11th, 2012 top executives from Interlogix presented Bob, Peggy and Kevin Price with the Security Pro of the Year Award. The award was previously announced at the Interlogix partner conference in San Juan, Puerto Rico but this our first time seeing the award. The award is presented annually to one dealer in Canada who stands out from the rest of the best as Security Pro dealers. Price’s Alarms has been a Security Pro dealer for many years and are proud to feature a variety of solutions for our customers. As a Security Pro dealer, we are part of an elite network of trained and certified dealers comprised of locally owned companies, specifically selected for our expertise in security and lifestyle management system design and installation. 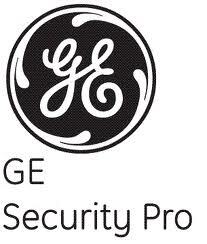 Security Pros are among the most highly trained security professionals in North America. Our long-standing commitment to understanding and implementing the most current technologies means this expertise is at work for you – from planning through installation and regular checkups to ensure long-term needs are met. Interlogix is part of UTC Fire & Security, a company that provides fire safety and security solutions to more than one million customers worldwide. Interlogix represents leading security and life safety solutions for both residential and commercial applications covering intrusion, video, transmission, fire and access. Offering some of the most-trusted product names in the industry and backed by ongoing partner services and support, Interlogix helps customers secure and protect what matters most.